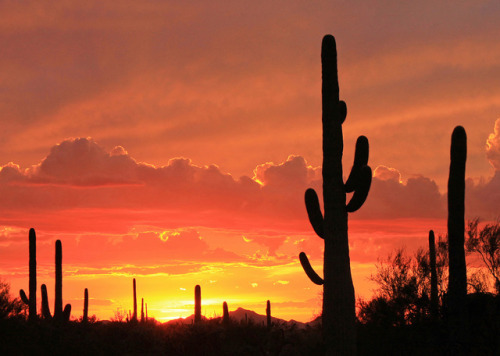 Tucson, Arizona, is home to the nation’s largest cacti. The… – Sig Nordal, Jr.
January 14, 2018 Sig Nordal, Jr.
Tucson, Arizona, is home to the nation’s largest cacti. The universal symbol of the American west, these majestic plants are found only in a small portion of the United States and protected by Saguaro National Park. Here you have a chance to see these enormous cacti silhouetted by the beauty of a magnificent desert sunset. Photo by Debbie Angel (http://ift.tt/18oFfjl).